All business dealings require safety, efficacy and mutual respect. Partners in these transactions are primarily the Bank and its client. In order to protect the client's interests, the Bank is offering its credibility, skills and modern communications technology, in the country and abroad. Documentary operation in the Bank’s business strategy for these products is based on fast and secure service to the client to contribute for competence performing the services, thus providing better result for clients. Denar letters of guarantee is a written document by which the Bank – guarantor undertakes the obligation on unconditionally and irrevocably payable and prompt payment of certain amount in favor of the beneficiary of the guarantee. According to the needs of the client Halkbank AD Skopje issues all type of denar letter of guarantees: customs guarantee, advance payment guarantee, bid bond, performance bond, payment guarantee etc. 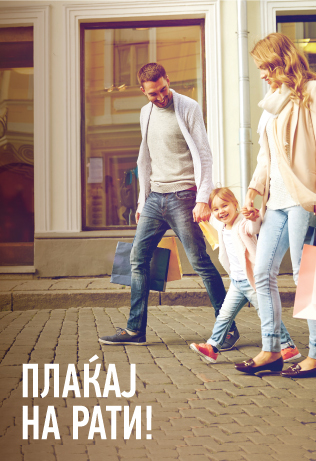 If you sell goods, render a service, participate in a tender, perform works, buy upon advance payment, install new equipment and had agreed you to secure your operations under guarantees, In Halkbank AD Skopje you can apply for denar letter of guarantee with the most competitiveness conditions on the market, according to the fees, commissions and collateral.